I hope you are all having a wonderful summer!! The kids still have over two weeks of summer holidays before they go back to school. Our summer has been packed with great activities and overnight trips; but that's all for another post! Today, I wanted to share with you the summer journal the kids made. The hope was that the kids would write in their journals throughout the summer to keep up with, and practice, their writing. I admit that they haven't been writing in them as often as I had hoped, but that means we are having a fun-filled summer, right? You bet!! I just took a couple of left-over exercise books and covered them with cardstock for the base. I brought out the felts, stickers, stamps, glue, paper punches, etc.. The kids had a blast creating their journals! I figured out that Lee really loves stamping! Did I mention that Lee really loves stamping? I also brought out my date stamp, so they can stamp the date on each entry! FUN!! Since Lee doesn't write much yet (he can write his name though! 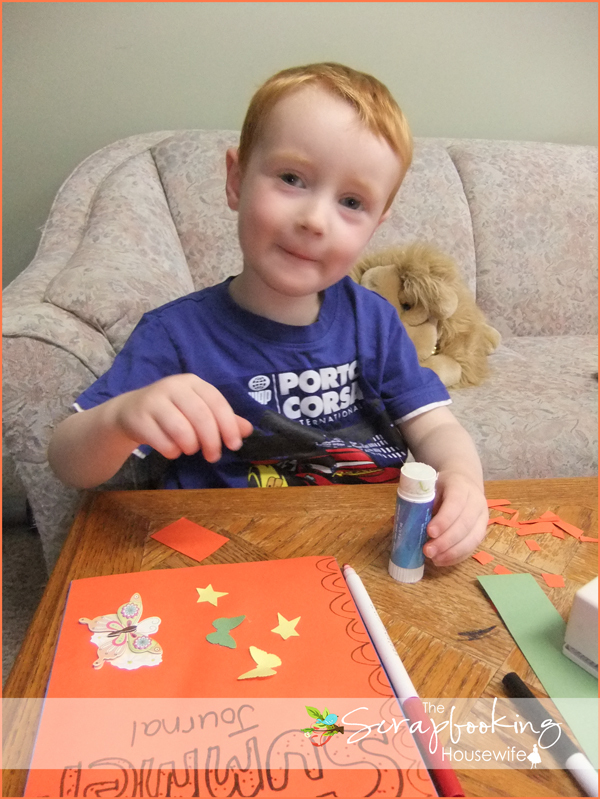 ), and he doesn't show much interest in drawing, I just let him stamp and paste away on his journal pages. I will also sometimes include a short sentence on his favorite part of what we did during the day. 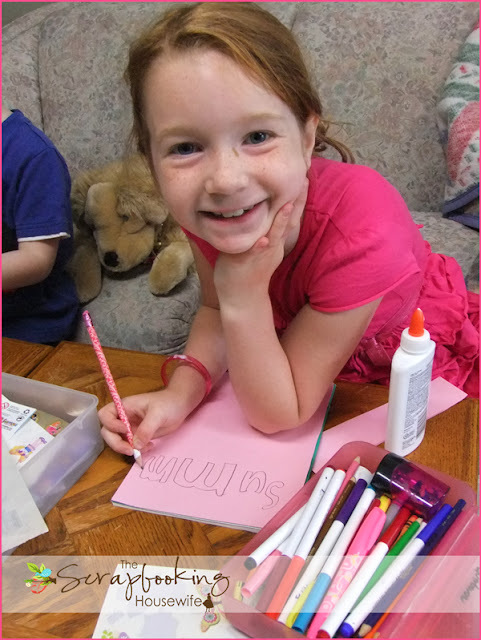 Ella, on the other hand, is little miss crafty and she loves drawing and telling stories!! I really enjoy reading her entries and looking at her drawings. I also brought out my journal I wrote when I was the same age Ella is now. Ella loved reading it and looking at the illustrations. It was fun for me to look back on it, too; laughter and tears and all! 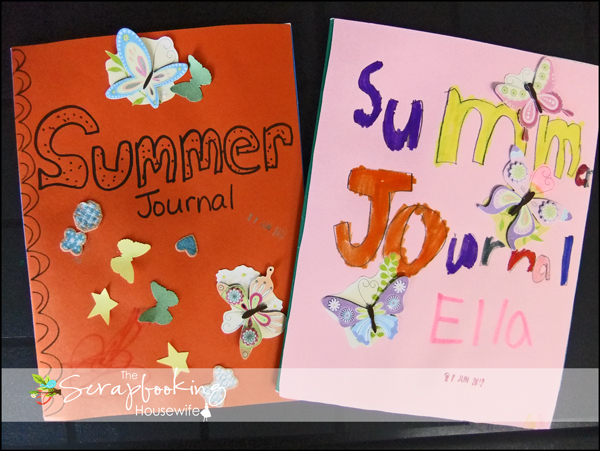 Do your kids like to keep a summer journal? Did you keep any of your journals from school? Do you like to keep a journal now?